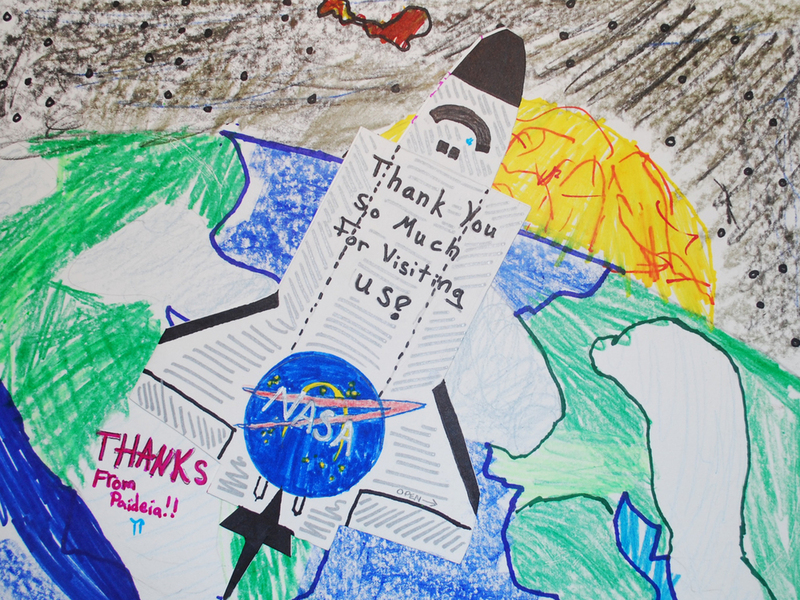 Eager group of future explorers learn details of the space shuttle. Don’s inspirational message will make a lasting impression on your students . Trying on an actual space glove in the classroom. Thank you card received after visit. School visit to U.S. Department of Education in Washington, D.C. Examining a spacesuit as part of the Have Spacesuit Will Travel program. Even pre-school students had a million questions for Don. Meeting students and signing autographs. Discussing changes to the human body in space. Presentation to students in Grahamstown, South Africa. Discussing career planning and how to achieve your dream. Learning how spacesuits protect astronauts. Don visits 50-100 schools every year and is one of the best at connecting with a wide range of students, from pre-school children all the way through college. 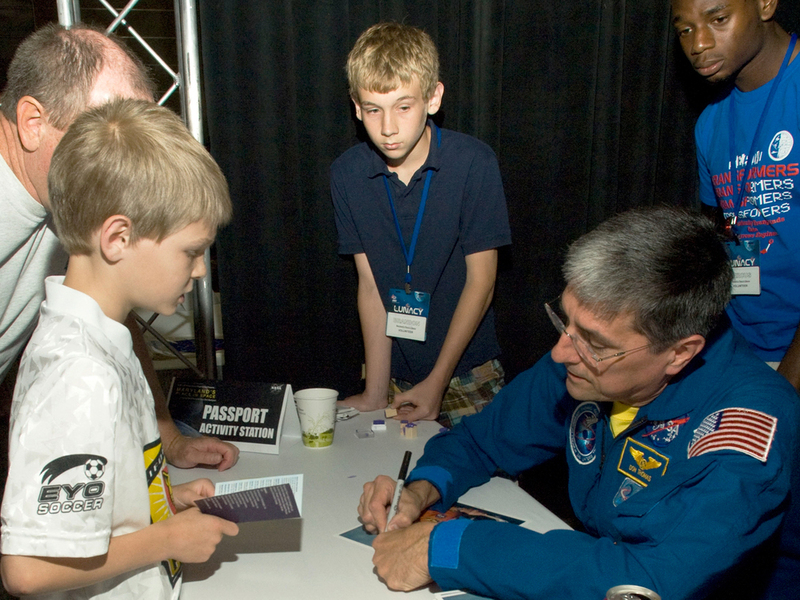 His popular and most frequently requested “Living and Working in Space” presentation brings the students along with him on his journey to become an astronaut and allows them to share the fun and excitement of being in space. Focusing on the thrills of launch, how astronauts eat, sleep, and exercise, the infamous space toilet, and sharing the beauty of our planet he experienced and saw firsthand during his 692 orbits of the Earth, his programs are highly interactive, engaging, educational, inspirational, and fun with a strong environmental message for taking better care of our planet. These programs can be adapted for all ages and can be presented in small classroom settings or large school assemblies.